Trouble setting up Windows Eye Control? Where can I buy an Eye Tracker? Congratulations on getting your new eye tracker! It's pretty easy to set up, but just to get you going we've collected some useful information for you below. If you have a peripheral eye tracker such as the EyeX, SteelSeries Sentry or the Eye Tracker 4C, please mount the eye tracker on the screen you'll be using it on. Check out how to mount your eye tracker here. Can I use the eye tracker with a multiple monitor setup? Can I use it on a bigger screen than recommended? If you have a peripheral eye tracker such as the EyeX, SteelSeries Sentry or the Eye Tracker 4C, connect your eye tracker. Please make sure to use a USB 2.0 port for the Eye Tracker 4C and USB 3.0 port for the EyeX and the SteelSeries Sentry. We've started to roll out our new Tobii Experience app for some devices. Just plug it in and it will download both the drivers and the app itself automatically. If you're unsure about which app you need, please check out our continuously updated help article for Which app do I need? If your device is not compatible with the Tobii Experience app, please install the Tobii Core software. You can find links to all the software bundles available on www.tobiigaming.com/getstarted. Important! Make sure to download and install the right bundle for your device. Once installed, you'll be taken through a get started guide. If you can't go through to the next step, it's because your eye tracker can't be detected so there might be a connection issue. If you have an eye tracker peripheral, it could be due to your USB controller not providing enough power for the eye tracker. The eye tracker roughly needs 5-6 W for a few milliseconds to turn on its NIR lights and it uses averagely around 1-2 W during use. If you need any recommendations on what to do, please check out our help articles listed below. If you have an eye tracker peripheral you will be asked to go through a display set up where you will let the software know which screen you have mounted the eye tracker on. For Tobii Core software: How to do a display setup. For Tobii Experience app: How to do a display setup. Next step, calibration time! This is done to get the right calculations for better accuracy. There will be 7 calibration points that you need to look at until they pop. If there are any issues detecting your eyes, please make sure you're positioned correctly in front of the eye tracker. You need to be placed within 50 - 95 cm in front of the eye tracker and at a proper height for the sensors to detect your eyes. Does it work with glasses, lenses or if I've had eye surgery? When the calibration is done, you get to name your profile. If you only wear glasses sometimes, we recommend that you create two different profiles. Tobii Core software: How to create a new profile. Tobii Experience app: How to create a new profile. In the new app, you can find all the calibration and profile settings top-right. How do I test and recalibrate? Once you're done getting started, you can test your calibration and/or recalibrate when needed in the User Profile menu. How do I test my calibration and recalibrate? Can it only track one of my eyes? 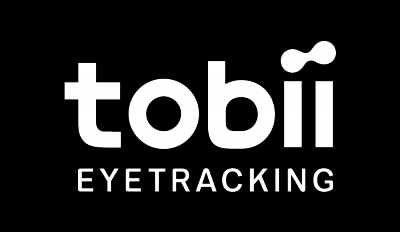 If you want to use eye tracking for gaming, please download Tobii Game Hub here. You can also use eye tracking for Windows Interaction, check out your available features in the Tobii menu - Interactions. If you want to use facial recognition for Windows Hello, please check out how to get started with Windows Hello. Please note that Windows Hello is not available on Acer V Nitro. If you want to use eye tracking with Windows Eye Control, please check out this get started guide from Microsoft. Problems setting up Windows Eye Control? If you still have questions, feel free to message us or join us on Discord.